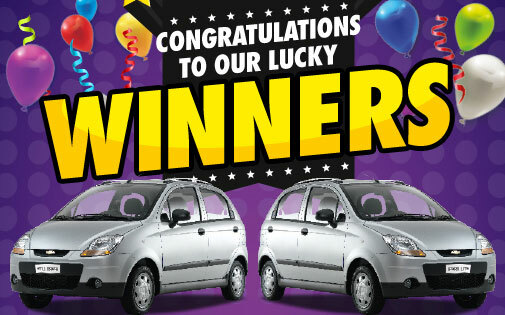 CONGRATULATIONS TO OUR 6 LUCKY CHEVROLET SPARK LITE WINNERS! As Africa’s biggest supermarket, we bring you the lowest prices and BIGGEST competitions! We love to reward our loyal customers with incredible prizes – and winning is easy at Shoprite! Find out if you are one of our lucky winners of a brand-new Chevrolet Spark Lite!